Educator and author Goodlad (A Place Called School) examines both his role as a pupil and a teacher in this thoughtful memoir. Goodlad attended North Star School in British Columbia during the Great Depression and eventually became one of the most influential educators in North America in the modern era (he founded the University of Washington's Center for Educational Renewal and served as dean of UCLA's Graduate School of Education). Through his 12 years of public schooling, he was taught by Miss Laing, Mr. Partridge, Miss Hamilton, Mr. Chamberlain, Mr. Chute and Mr. Siddons--all of whom molded him through example, rote learning and tradition. But Goodlad believes those techniques had less influence on his education than did their strong or weak personalities and classroom presence. In Goodlad's view,""It is rarely the pedagogy of our teachers we remember. Rather, it is their classroom personalities. Teachers teach who they are."" 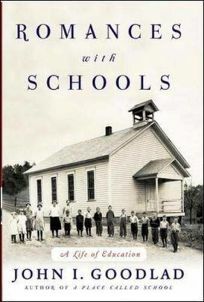 Goodlad opines that nothing during his career as an educator benefited him like his brief apprenticeship in a one-room school, where he learned at ground level about the educational problems of increasing class size, tardiness, truancy and juvenile delinquency; it was there that he also learned the importance of strengthening the university-school relationship. As an education crusader, Goodlad has traveled the world, contributing to seminars and conferences, while participating in the classrooms and administrative offices of schools and universities. His optimism and goodwill are bound to find a place among the disparate groups of students, teachers and administrators alike.